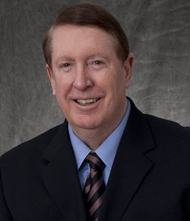 Dr. Richard McLaughlin completed his orthodontic training at the University of Southern California in 1976. Since then, he has been in the full-time practice of orthodontics in San Diego, California. He has lectured extensively in the United States as well as internationally. He is a member of the Pacific Coast Society of Orthodontists and the American Association of Orthodontists, is a Diplomate of the American Board of Orthodontics, and is the Southern California Component Director of the Edward H. Angle Society. In addition, Dr. McLaughlin is a clinical professor at the University of Southern California, Department of Orthodontics in Los Angeles, California, and an associate professor at St. Louis University, Department of Orthodontics. Paul K. Upatham D.D.S., M.S. Dr. Paul Upatham received his dental degree from Baylor College of Dentistry in 2001, and completed his orthodontic training at the University of Southern California in 2004. Since then, he has worked successfully with Dr. McLaughlin in San Diego, California. He is a member of the Pacific Coast Society of Orthodontists, the American Association of Orthodontists, the American Dental Association, the California Dental Association, and the San Diego Dental Society. 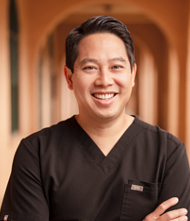 He is currently a clinical instructor at the USC graduate orthodontic department.